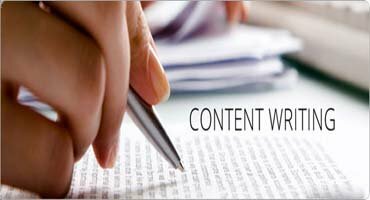 SEO Circle is known for providing Content Writing Services in Mumbai. Content writing is the writing for the web. The web pages have content that tells about what the web site is all about. There are content writers who write interesting content for websites to engage the users who visit the site. The content for the web page must also be SEO friendly so that not only the users find it interesting to read but also search engine see the content. SEO friendly writing does not mean writing for search engines, but writing interesting content that can draw the attraction of search engines to attract the users. Our professionals write content which is related to the topic. Search engines cannot be fooled by deceptive means because you could be banned for it. It has tools to know whether the actual page is really about the topic it says it is or not. Hence we take care in writing content which is what your web site is all about. As a part of Content Writing Service in Mumbai we also make sure to put the conclusion about what the page is, on the opening. This allows the important keyword on the top. Search engine reads the beginning and understands whether the page is what is seems. Our Content Writing Service in Mumbai offers many content writing strategies that can be followed to gain success in the goal of making the content SEO friendly. The first and foremost important step towards developing a strategy is to find the goals for your website. You need to consider the motive of the business to have a website. Then decide who the audience for your website is. The users who will visit the site are the targets for your website; the step is to find them. The next step is to decide when to publish the new content. And finally analyze to see if the content is working or not. On behalf of SEO Circle’s Content Writing Services in Mumbai, we perform all the above mentioned services as a part of the SEO content writing strategy.